A press release for the robotics groups at the University of Twente, joined together in LEO centre of service robotics. All because we got a nice bunch of projects accepted, go UT! 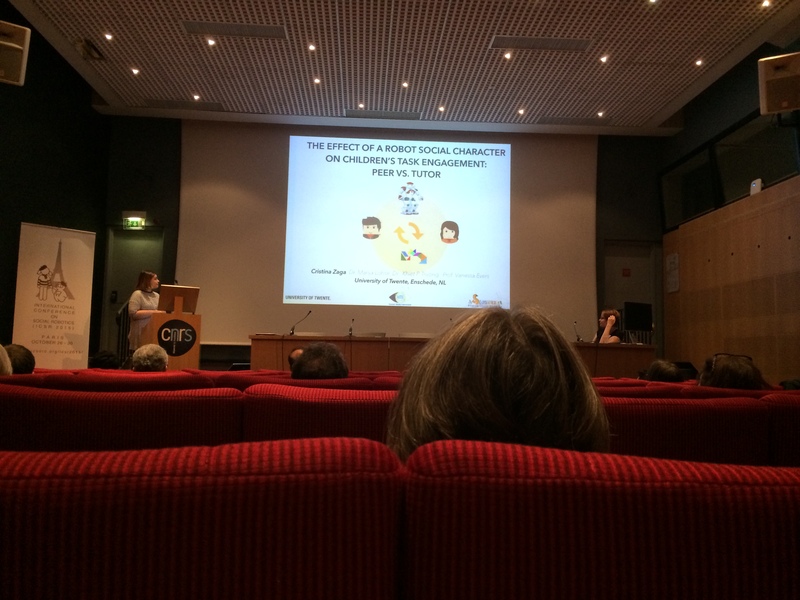 Last week, Cristina Zaga and Manja Lohse of our group gave a great workshop and the International Conference on Social Robotics in Paris. Daphne Karreman and Michiel Joosse also presented their work on the FROG and SPENCER projects.